Prime Minister Abhisit Vejjajiva said last week that election would be held in the first half of this year if there would be no fresh violence happening. 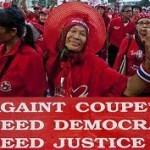 The violence referred to was the mass protests that occurred in April and May of last year by the ‘Red Shirt’ opposition movement, which was seeking immediate elections and that has left more than 90 people dead in street clashes. Thailand will be holding election before June, according to Suthep Thaugsuban, the deputy prime minister of Thailand, setting now the stage for a competitive election in the politically divided nation, as he told reporters when ask about the schedule of the keenly awaited poll. His comments followed the passing of a midyear budget and recent constitutional amendments that the government set prerequisites for an early election, along with peaceful conditions for the polls. 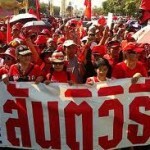 At the height of the Red Shirt crisis, the prime minister had proposed to hold a poll in November 2010, to resolve the stand off but he shelved the plan because demonstrators refuse to disperse until the army move in. 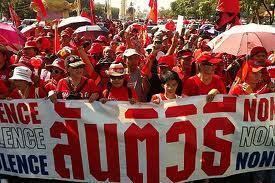 The Reds who are broadly loyal to fugitive former prime minister Thaksin Shinawatra, have held a series of peaceful one day rallies in Bangkok in recent weeks. 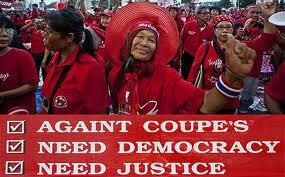 The Red Shirts view Abhisit’s government as undemocratic because it came to power in 2008 parliamentary vote with the backing of the army after a court ruling threw out the previous administration.